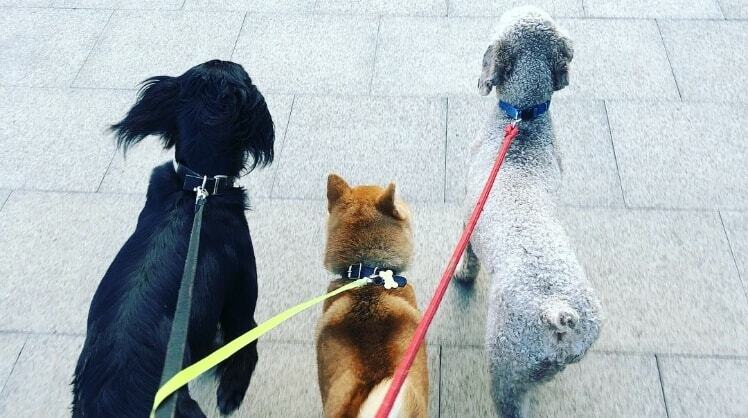 I am a reliable dog walker, and also offer day-care and dog boarding. I am available week days for walking, & daycare & boarding i can cover at clients requirments. I have a passion for the welfare of animals. I'm dog friendly (having had a labrador retriever 'Benji' back home in nz where i'm born). I have a regular bunch of clients both whom use me for daycare and boarding as well as hourly walk's. Some clients i have there house keys or i collect client via concierge other drop off there dogs at flat. Personally, I am a 50 year-old married man who has spent +30 years working as a chef. Walking and looking after dogs is a whole lot more fulfilling and satisfying than spending long hrs in a hot kitchen trust me! As a kiwi's we love the great outdoors so its been an easy choice. Dave has been nothing but helpful since finding him on Pawshake! Kevin had a great first night with him and will definitely be returning! A great find!! David and Diletta took fantastic care of Stanley while we were away, introducing him to new friends, making him feel right at home, and sending us photos to show us how comfortable he was in their home. He has a dodgy tummy and David made sure he ate when he was supposed to and took all his medicine. I think Stanley was disappointed when we took him home. He'll definitely be back.